After being in a lot of controversies, Hrithik Roshan and Mrunal Thakur starer film Super 30 has again postponed its release date. Poster of the Film "Super 30"
The movie was all set up to be released on 25th January this year but for some unknown reasons, it will not be released on the scheduled date anymore. 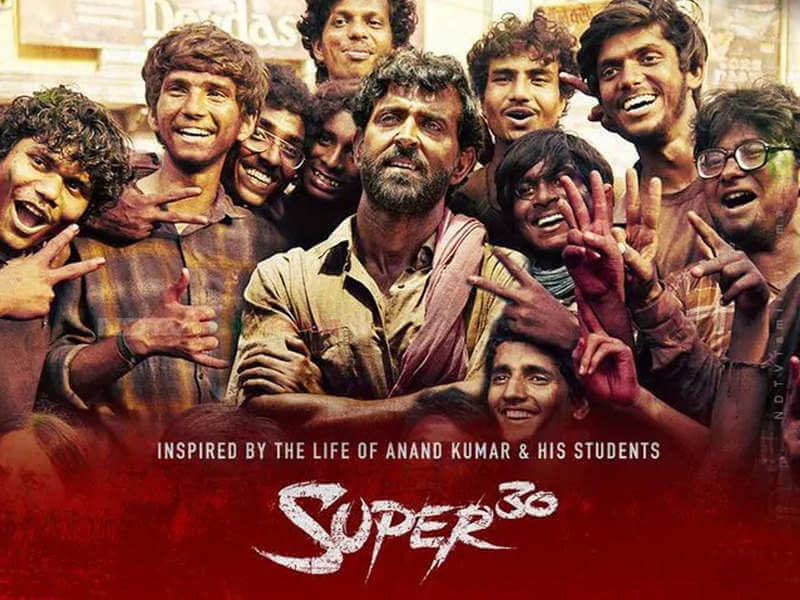 For your information, the Super 30 is based on the Mathematician Anand Kumar who made the institution Super 30 a brand worldwide. Super 30 claims to offer completely free coaching to those underprivileged and poor students who want to get into India's premier institutes - IITs. The organization holds an entrance test every year and selects brilliant students from the financially backward backgrounds and provides them with free coaching along with the food, lodging and study materials. What is the Next Scheduled Release Date of the Movie Super 30? 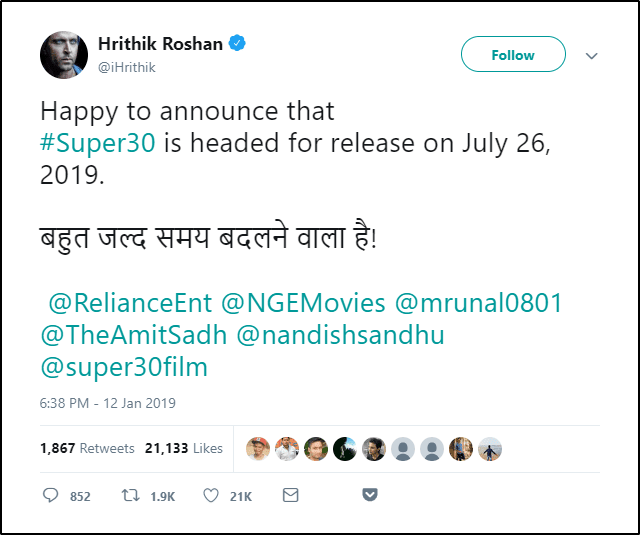 Well, recently the Bollywood actor Hrithik Roshan who is playing the role of Anand Kumar in the movie announced using his Twitter account that the Super30 will now be releasing on July 26, 2019. The tweet says, "Happy to announce that #Super30 is headed for release on July 26, 2019. बहुत जल्द समय बदलने वाला है!" Till now the trailer for the movie has not yet been released but you can take a look at some leaked images from the sets of the movie Super 30. The exact reason for the movie being postponed has not yet been confirmed. Some people are saying that it has been postponed due to the Kangana Ranaut's upcoming movie Manikarnika which is also scheduled to be released on January 25 this year. Nawazuddin Siddiqui's upcoming film Thackeray is also set to be released on Jan 25. So, that might be the real reason for the movie being postponed.